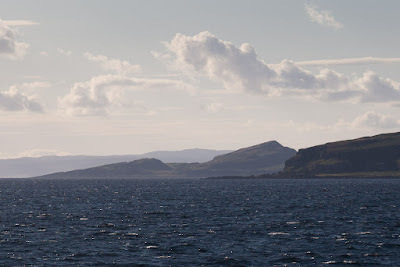 We visit Seil and its Sound regularly. 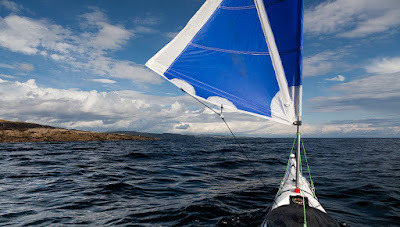 We have been three times in the last year. 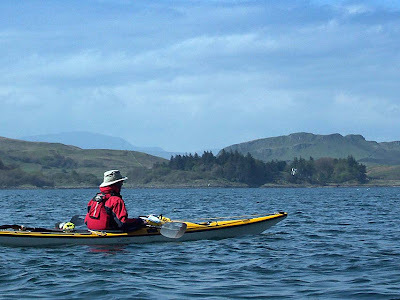 My first visit by kayak and sailing dinghy was in July 1967, so I do like the area a great deal. This view is towards the NE from Bagh Lachlainn at the north end of the island of Luing. 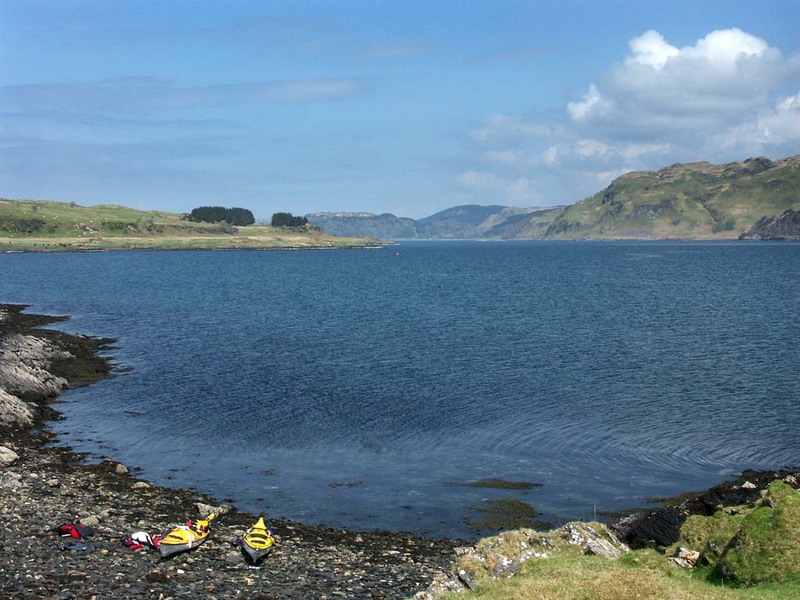 this band of trees and under the steep slopes of Dun Crutagain (273m). 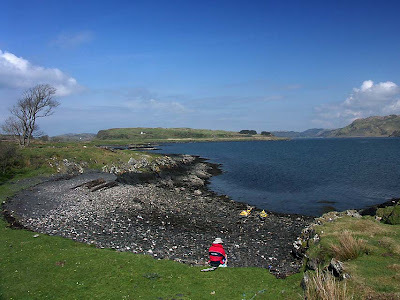 I was dismayed when I learned from the Save Seil Sound campaign that a Polish company plans to build a huge fish farm consisting of 12 cages, each 32m in diameter, covering an area of 4 football pitches on this very spot. 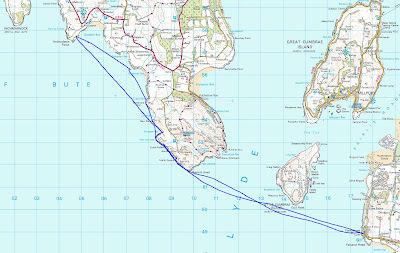 There will also be a service barge 18m by 26m with a two storey building on top. 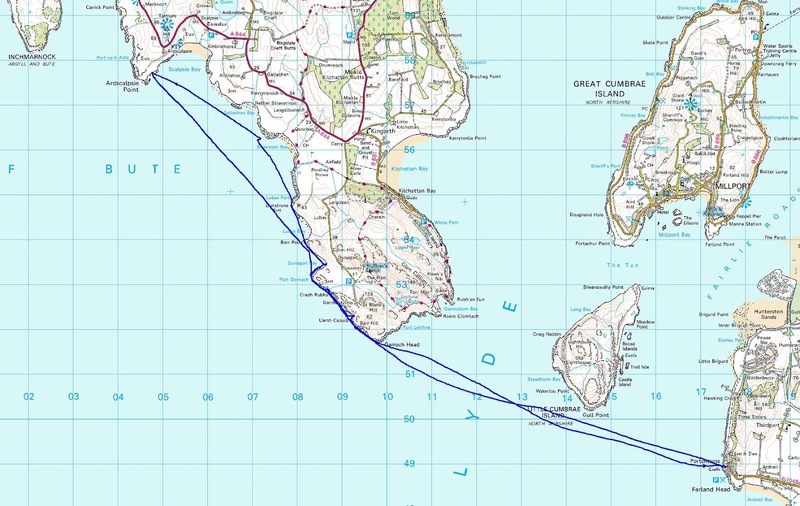 When it is running it will contain 450,000 adult salmon and you can imagine the effect of the pollution and parasites which a farm of this size will release. 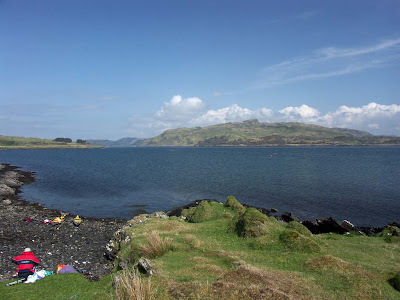 Seil Sound is very enclosed and shallow and I am sure that the wild life will suffer even more than the view. 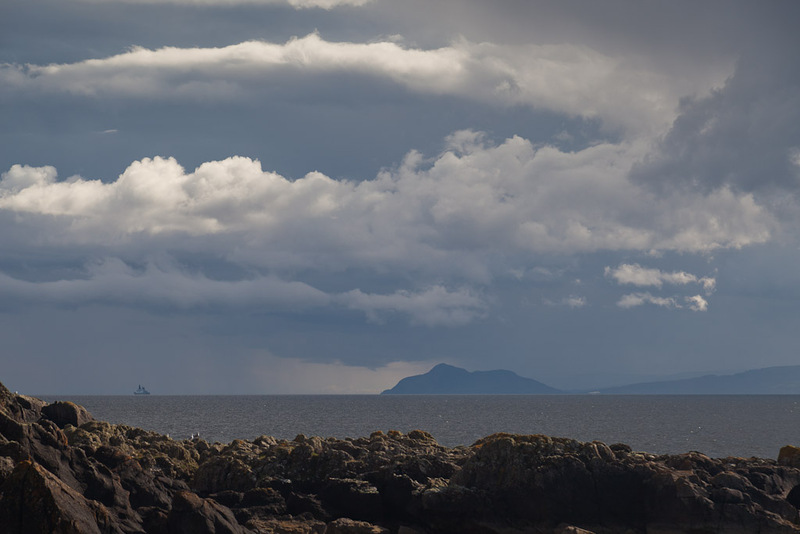 Speaking of the view, this is looking SSW down the Sound towards Torsa, Luing and Scarba. 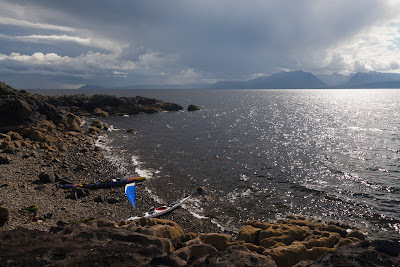 This is looking NW towards Seil with the mountains of Mull behind. We have seen porpoises, seals, otters, herons, cormorants, shags, terns, guillemots, black guillemots, razorbills, oyster catchers, eider duck, geese, swans, eagles, buzzards and hen harriers here. I will be very sorry if this wild place is industrialised in this way. 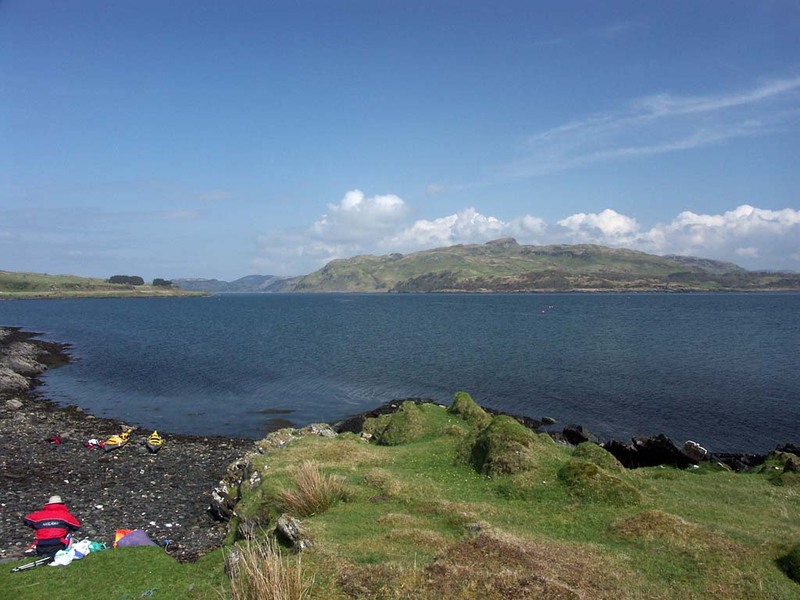 If you wish to make a comment, either for or against the proposed fish farm, to the Argyll and Bute planners you can do so here. 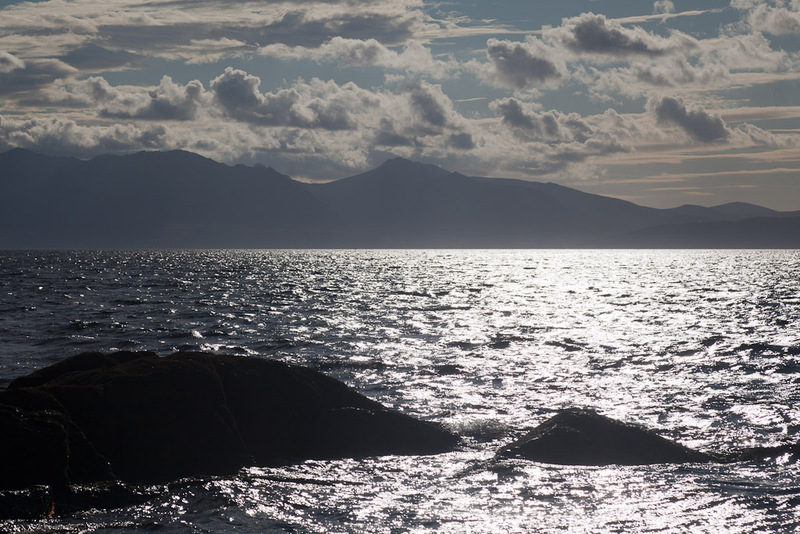 If you support the campaign to save Seil Sound, you can join them on Facebook here. 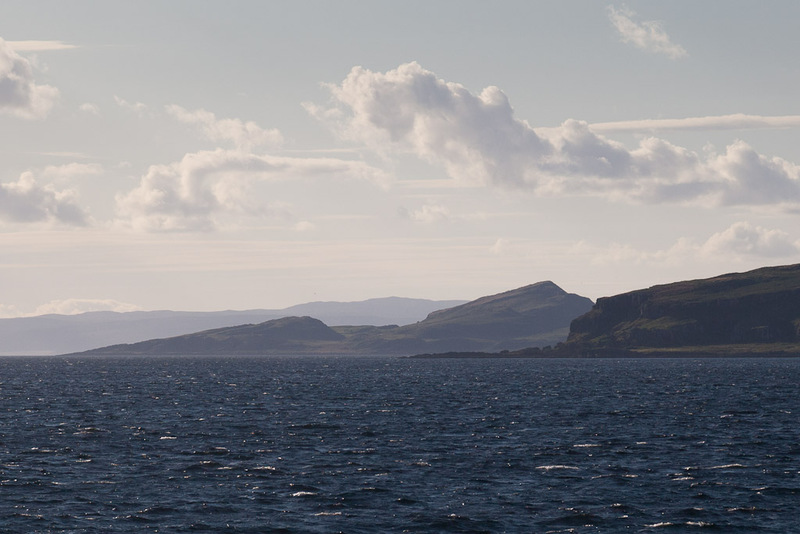 A flying crossing from Bute. 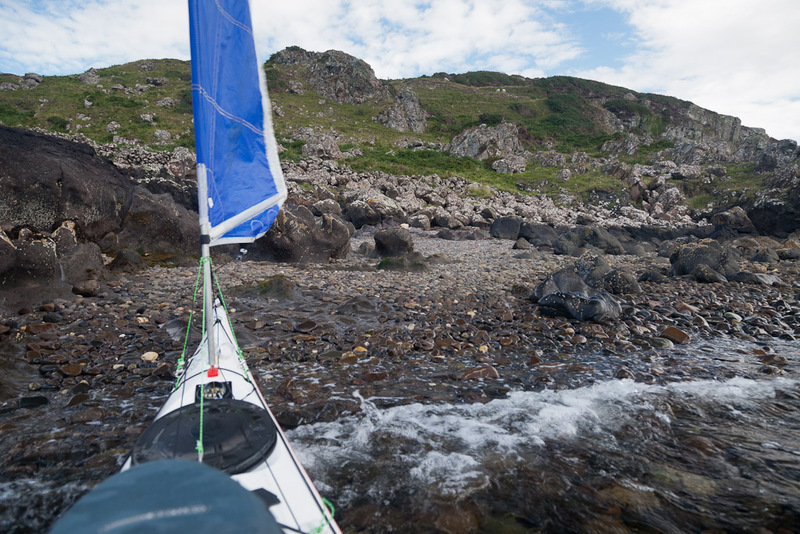 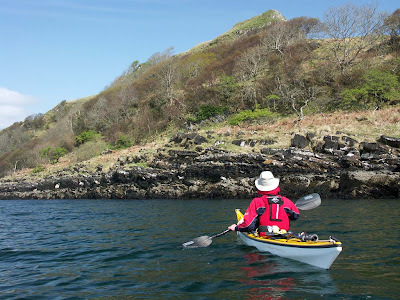 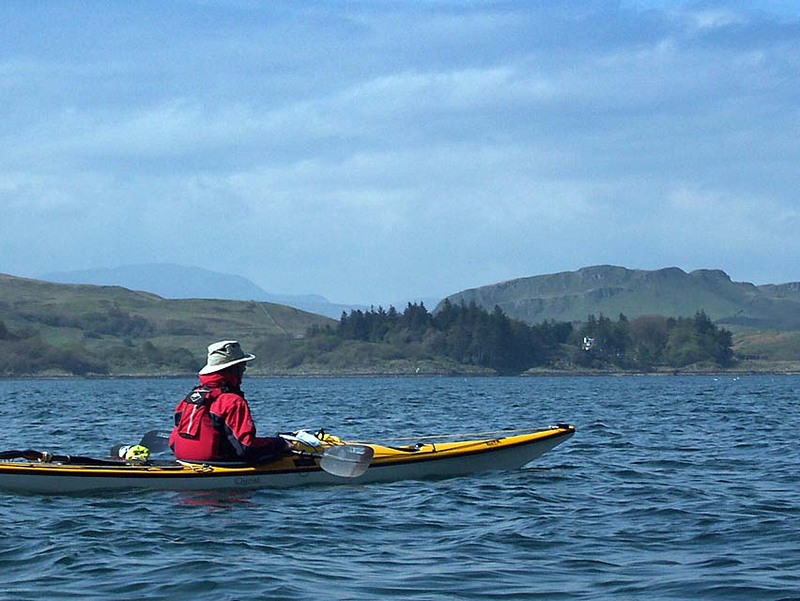 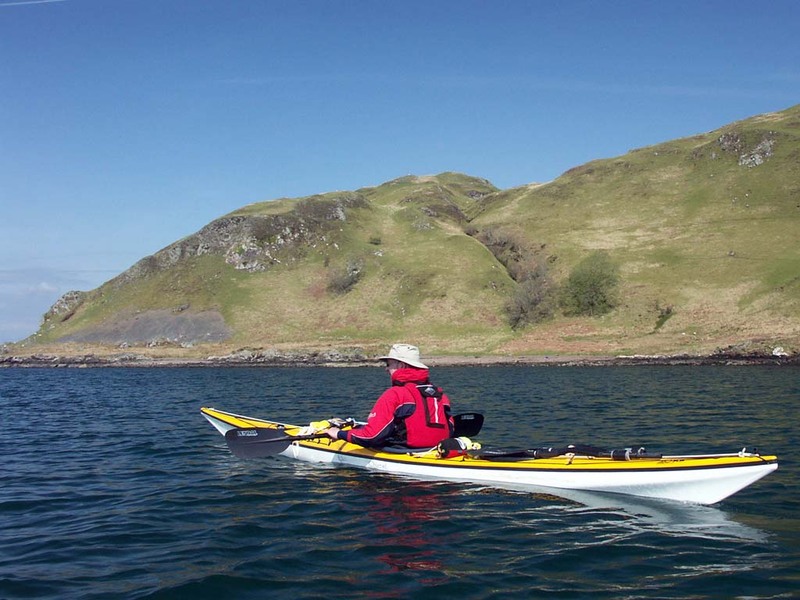 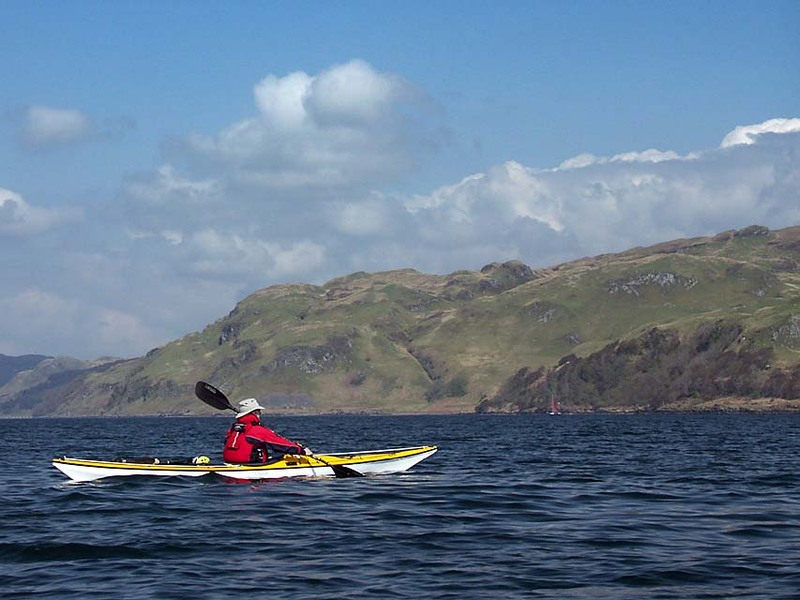 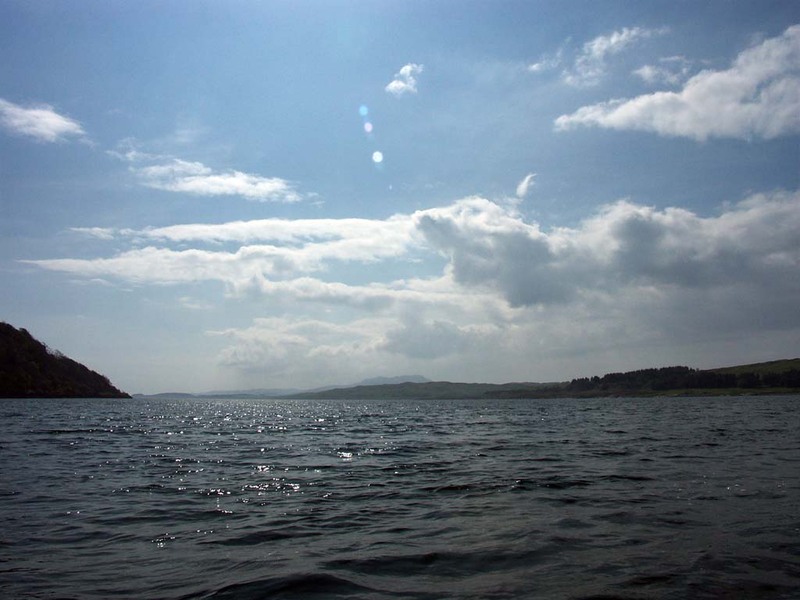 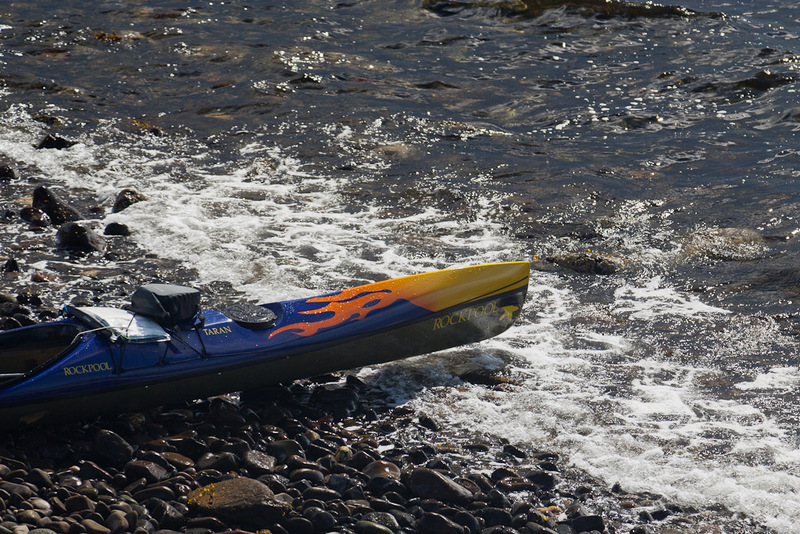 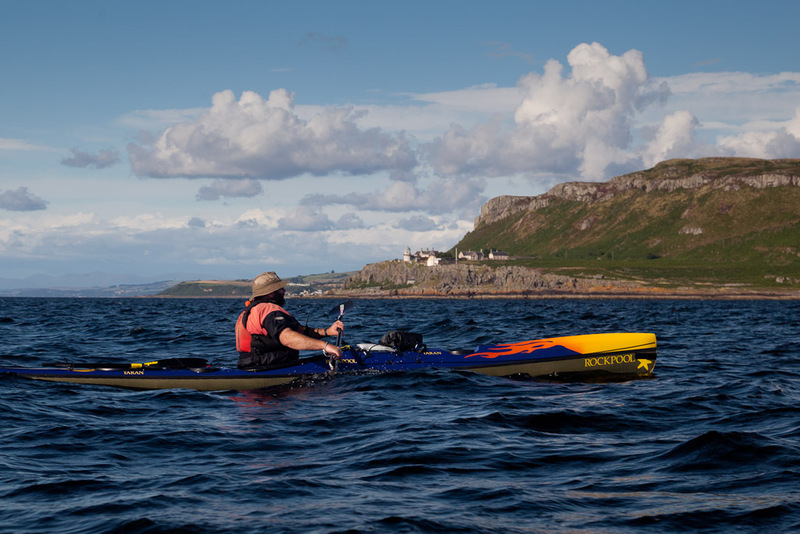 ...the Little Cumbrae island in perfect sea kayaking conditions. We had sun, a following wind and helpful waves. 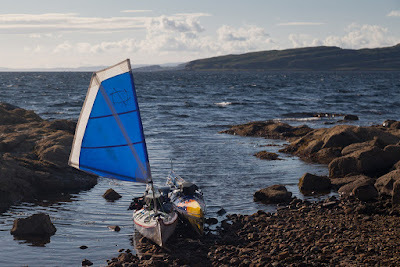 My maximum speed was 13.6km/hour and for most of the stretch from the Little Cumbrae to Portencross, we kept up 8-11km/hour. 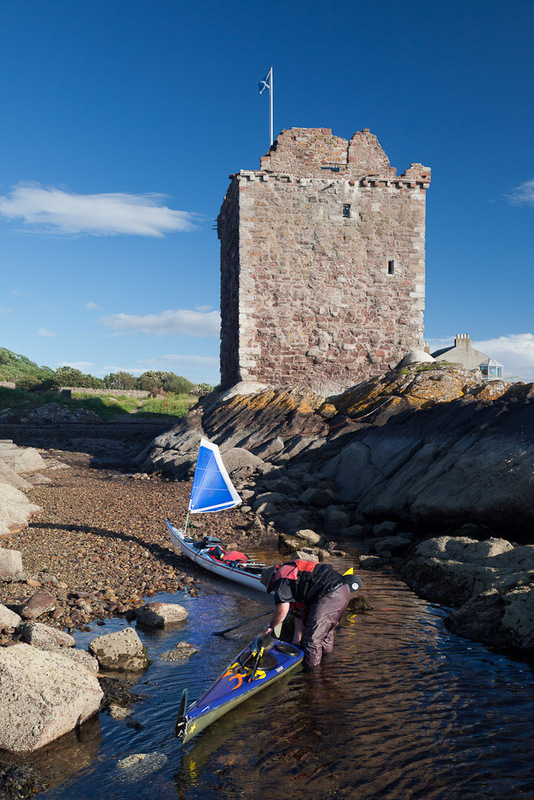 We were soon back at Portencross Castle on the north Ayrshire coast..
Garroch Head can just be seen in the distance, behind my mast. This was definitely my fastest time for this crossing which is one of our regular trips. With views like this to Arran, you might understand the frequency of our return visits. 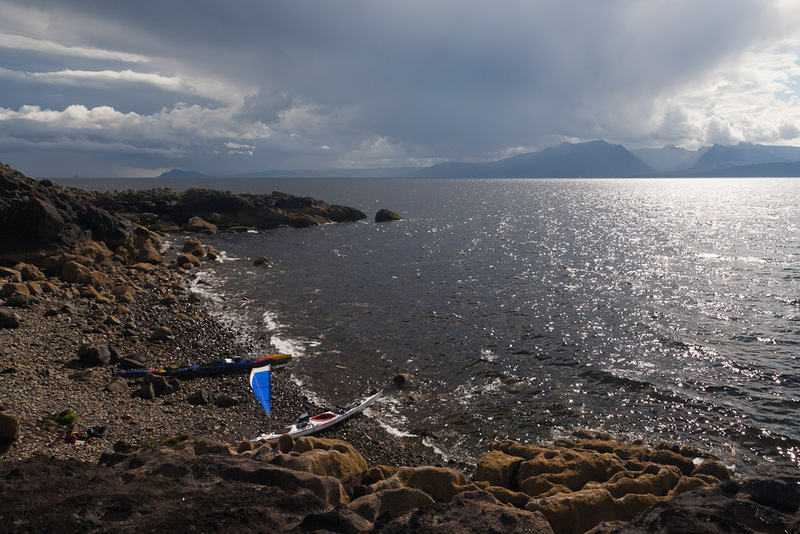 This little trip was 34km and was less than an hour's drive from Glasgow. I highly recommend it if you are ever in the area. 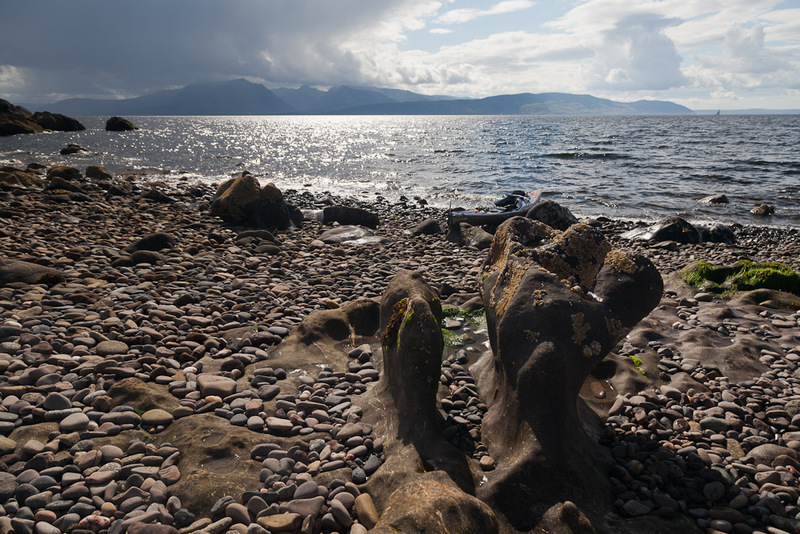 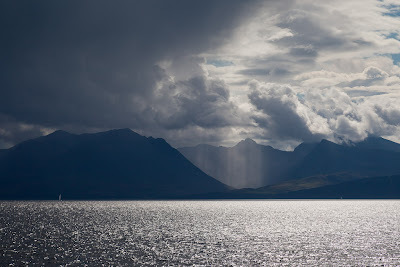 From the south end of Bute, the view over to the mountains round Glen Sannox on Arran is superb, easily a match for the more famous mountain and sea view over Loch Scavaig to the Skye Cuillin from Elgol. 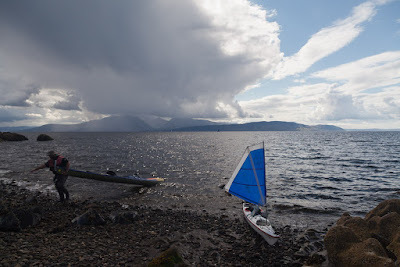 ... and perhaps to weather out a thunderstorm, which threatened to spill over the Sound of Bute from Arran. ...in a break in the lava beds of Garroch Head. 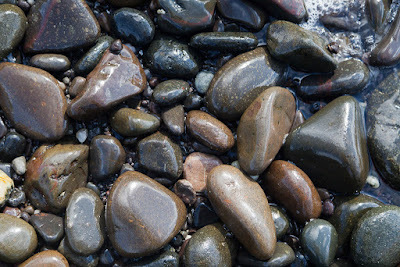 The lava bed rock had been worn into amazing pinnacles and channels by a combination of wave action and the cobbles. ...above the beach. 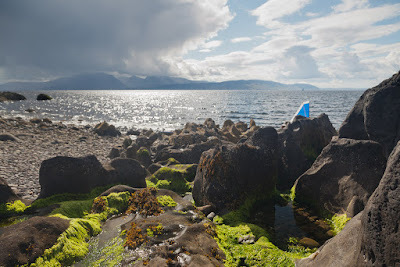 We wondered how many of our fellow seafarers and ancestors had been grateful for the shelter offered by this little beach if caught out in a storm. 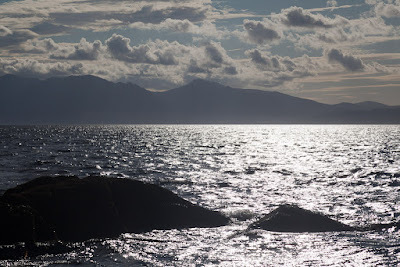 ...and at last the sun broke through and shone down on Gen Sannox again. 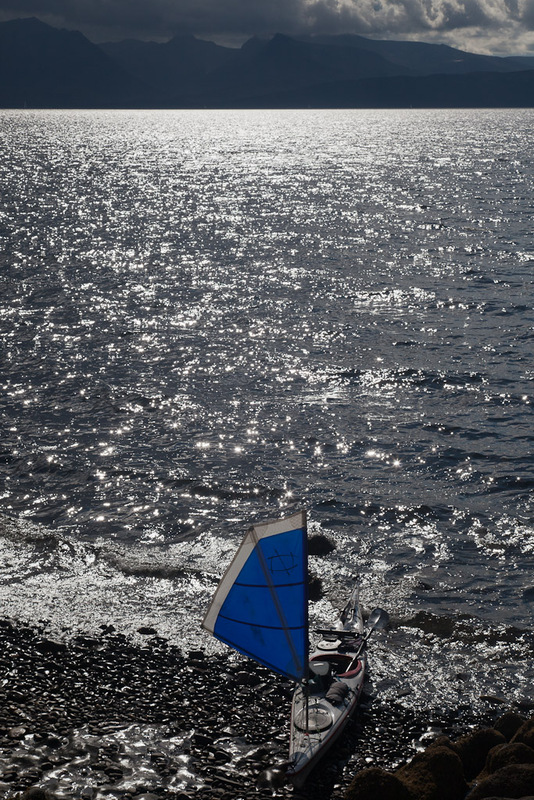 It was time to move on.